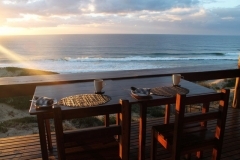 Welcome to Blue Footprints Eco Lodge, Mozambique. Our exclusive Eco Lodge is situated in the Barra Tofo area in Inhambane, Mozambique – Southern Africa. 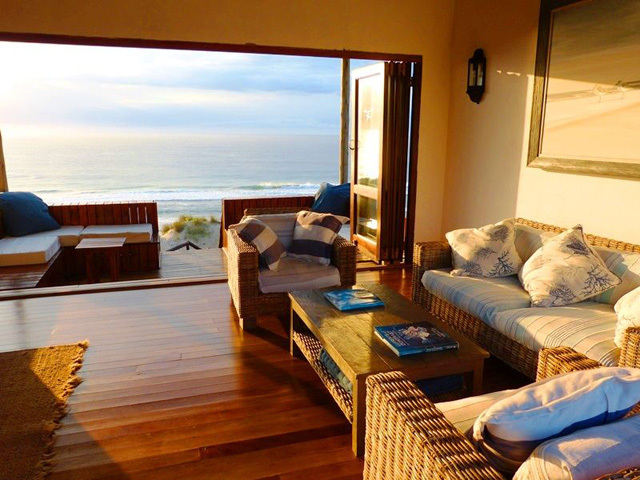 Blue Footprints offers private, tranquil, luxury accommodation. 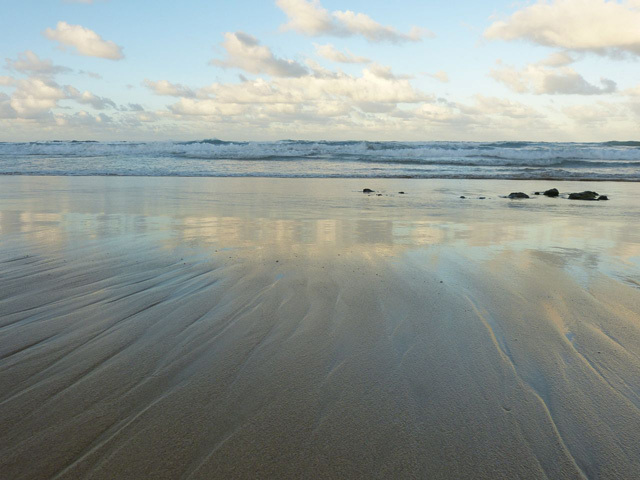 It is a perfect base from which to explore the area’s bountiful marine creatures, rich cultural heritage, or just immerse yourself in the natural surroundings and relax! 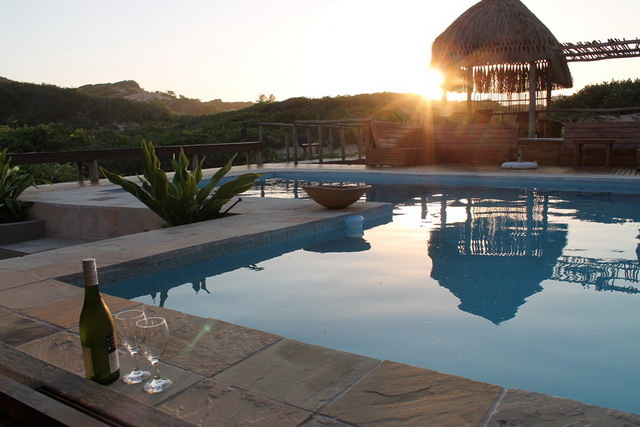 Blue Footprints Eco Lodge is completely “off-grid”, in keeping with our eco ethos. All electricity is generated by solar power and the water is pumped from a borehole and is crystal clear. 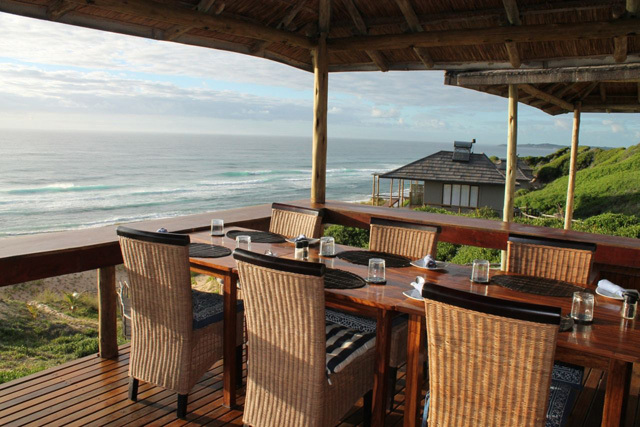 The lodge has only 5 rooms, all with unobstructed, 180 degree ocean views, offering our guests complete exclusivity. 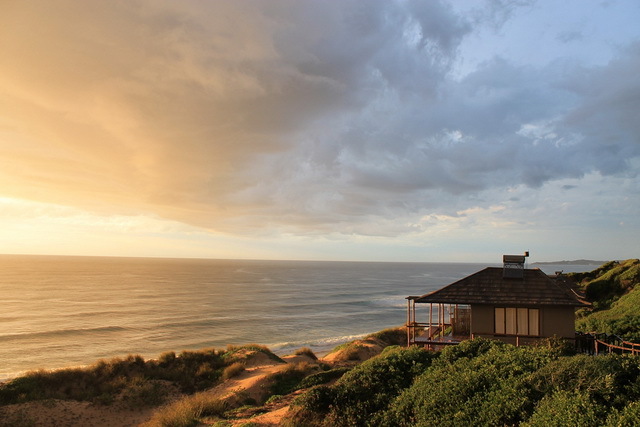 This hidden secret offers the perfect romantic getaway, but if you are looking for a more active holiday, Tofo and Barra beach offer a wealth of adventures to fill your days . 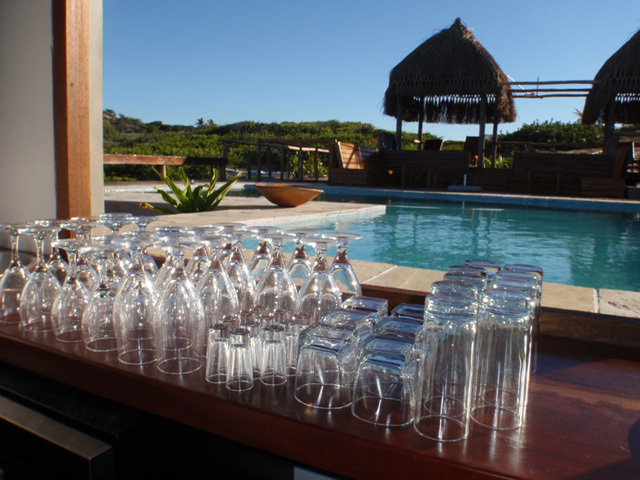 Having a maximum of 10 guests, options are also available for exclusive use of the lodge for small corporate groups, family reunions or a group of people looking for something special. This is the mecca of Manta Rays, Whalesharks and Humpback Whales, any marine enthusiat’s dream! Let us share this true adventure of a lifetime with you! 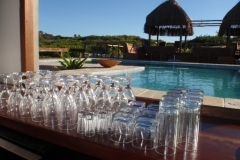 Honeymoon in paradise For the most memorable romantic moments, all you need is yourselves and some privacy. 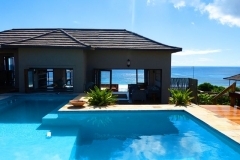 For the transcendent come to Blue Footprints and lose, (or find) yourselves in our luxurious, secluded sanctuary and let us add a little more to the basics: With only five private villas, we offer the ideal setting for the perfect honeymoon. 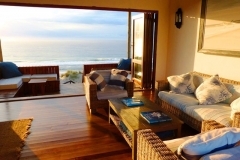 Each room has breahtaking views over-looking the Indian Ocean, complete with outside shower, hammocak and daybed. 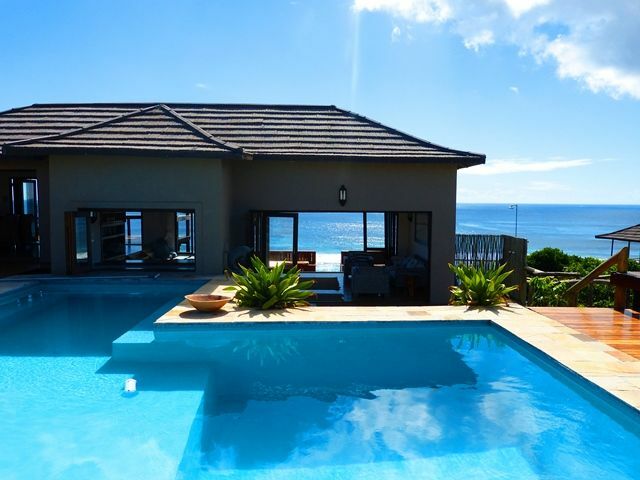 Each villa is perfectly placed to provide all the privacy you require. 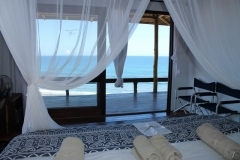 Blue Footprints Eco-Lodge, located on a quiet stretch of beach Between Praia Da Barra and Praia Da Tofo in Mozambique can offer the exclusivity and privacy you may need after your busy wedding. 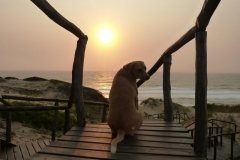 Alternatively, should you wish to have a more adventurous honeymoon, the towns of Tofo and Praia Da Barra offer a range of activities to keep you entertained for days. From snorkelling with whalesharks, qhad bike adventures to cultural tours and kayaking, there will be something to keep you busy. Blue Footprints Eco Lodge is a conservation-orientated ecotourism operator and we firmly believe that this is the most effective and practical means to ensure the viability and sustainability of the protection of the marine environment in Mozambique. 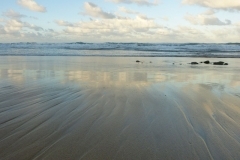 The marine environment is central to our beliefs, value system and philosophy. We are an ethically driven company and believe fully in our vision of contributing meaningfully to conservation as well as the local communities. We conduct ourselves with integrity in the management of our company. We shall not submit to any request that compromises our philosophies. We endeavour to exceed your expectations in all that we do. We offer you meaningful educational experiences. We invite you to join in local conservation efforts. We recognise that you are one of our greatest assets and we encourage you to follow your passions and be the best you can be. We will encourage and facilitate education and training in the hospitality and scuba diving industries as well as conservation and the marine environment. Inhambane is situated 460 km north of Maputo. If you are planning on driving to Blue Footprints, please contact us so that we may send you road maps and directions and estimated travel times. Driving in Mozambique can take longer than expected due to the reduced speed limits. Please note that the last 5 km is only accessible with 4×4 vehicles and is not sign-posted. 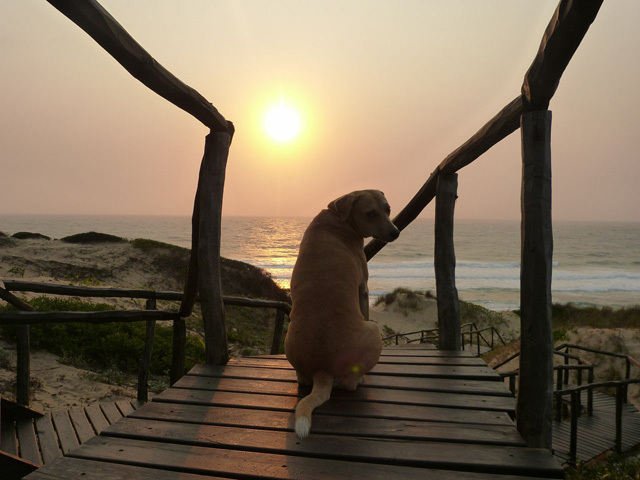 Blue Footprints welcomes you to Inhambane, Mozambique. 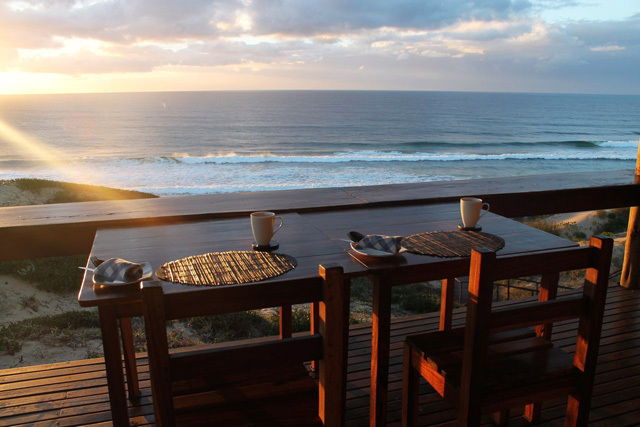 The stretch of Indian Ocean, between the beaches of Barra and Tofo, has become a world renowned scuba diving haven. 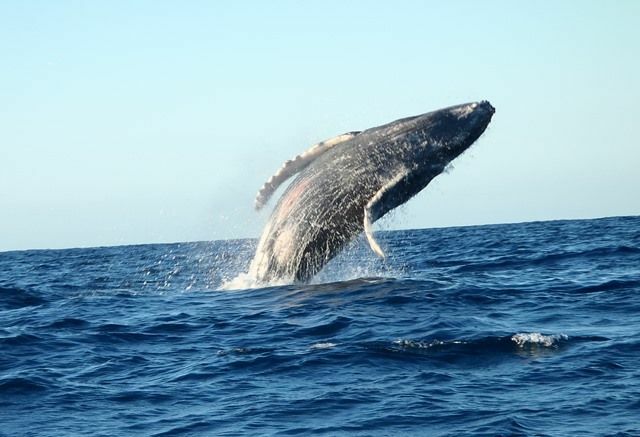 This area of Mozambique is fast becoming one of the most famous places in the world to visit for many reasons, but namely for the outstanding diversity of marine life. Please ensure you have a comprehensive travel insurance policy which covers you for repatriation home and if you are scuba diving, ensure it covers you to the depths you anticipate scuba diving to. Remember to bring copies of your policy together with emergency contact telephone numbers. Sunset over Blue FootprintsThe Inhambane area located in central Mozambique is considered to lie within the malaria belt. It is advisable that you take some form of prophylactic drugs. Always get the latest advice from your doctor at least a month before travel. Whilst here, cover up and use a mosquito repellent between sunrise and sunset, and always use the mosquito nets provided. Divers need to be aware that certain anti-malarial drugs or malaria prophylactic are contraindicated with scuba diving. Please ensure that you find out from your doctor or DAN (Divers Alert Network), which option would best suit your needs. 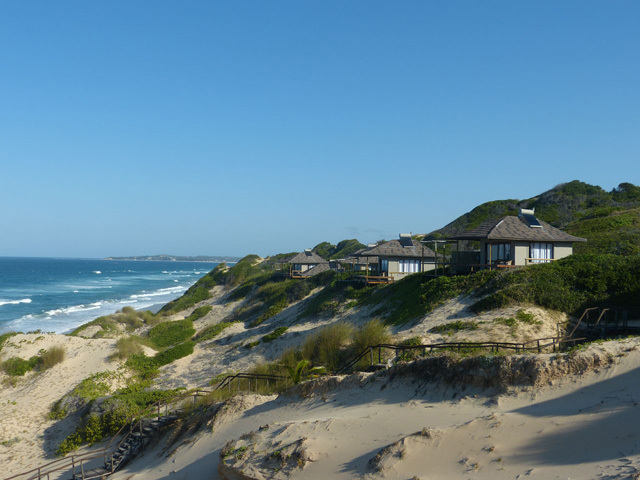 Mozambique has a typically tropical climate with hot and humid conditions along the coastal lowlands during the summer months, especially from December to March, and pleasantly warm during the winter days with cool evenings. Rainfall, mostly in the way of tropical thundershowers, tends to fall between November and March, however in the last few years we have experienced sporadic rainfall in May, June and July. Average day time temperatures range from 24oC to 34oC+. 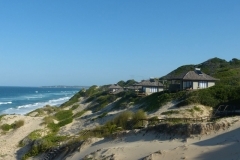 The warm Mozambique current flows southwards along the coast and is an important influence on the climate of the country. The coast of northern Mozambique is occasionally affected by tropical cyclones in the Indian Ocean. These tend to start with tropical depressions east of Madagascar. From time to time they move south or north, entering the Mozambican channel, where they can make landfall on the Mozambican coastline, but the majority pass east of Madagascar and hardly affect Mozambique. These cyclones bring heavy rain and strong winds and can cause large swells.